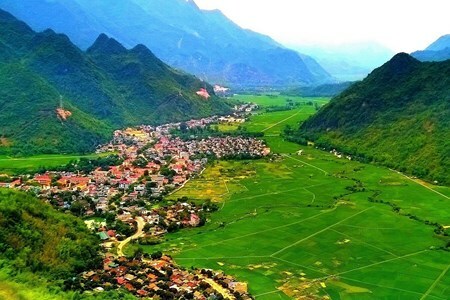 Mai Chau is located in Hoa Binh, a mountainous province northwest of Hanoi. 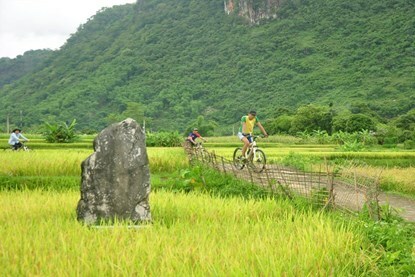 The village is approximately 140k from Hanoi, about three hours by road. 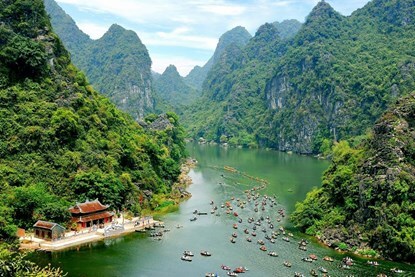 Hoa Binh's 'karst' limestone landscape is striking - rocky pinnacles, rivers and caves abound. Among the many valleys there are small communities of Thai and Muong ethnic minority people. 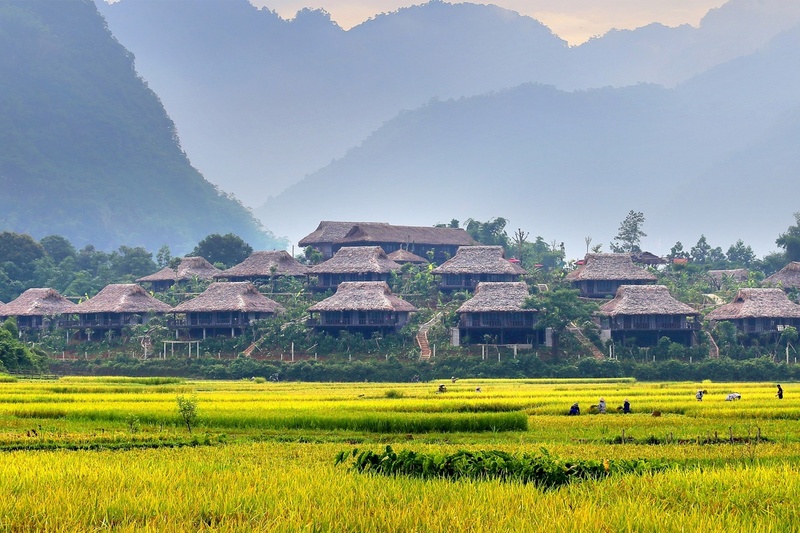 In recent years, Mai Chau valley and its Thai ethnic culture and architecture has become a popular tourism destination. 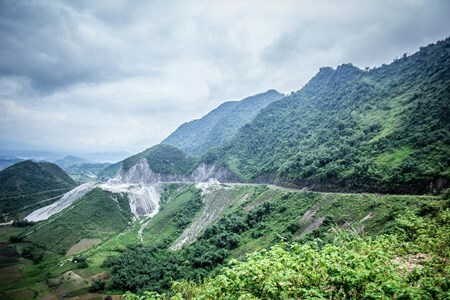 Although it's a longish journey, it's compensated by a pleasant drive over the 15km Cun Pass with panoramic views over the hills and valleys, one of which is Mai Chau. A Thai stilt house used for homestaysThe White Thai have occupied Mai Chau valley for several hundred years, members of the large Thai-Tay language group scattered throughout Southeast Asia. 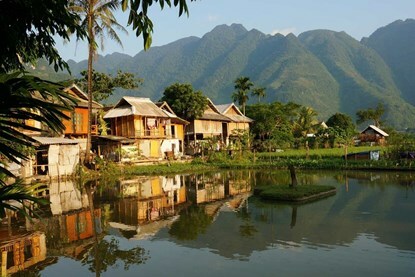 Most Mai Chau village residents are from the White Tai ethnic group and live in stilt houses. 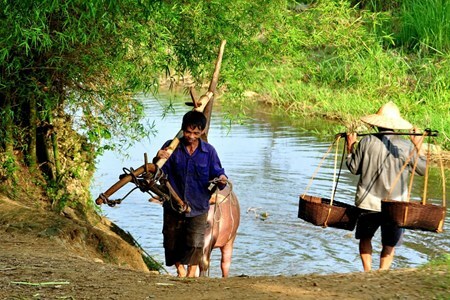 Beneath the stilt houses, families keep their livestock and their looms. Traditionally, their income was generated by rice production and weaving brightly coloured scarves. 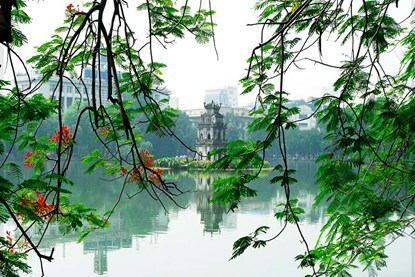 Recently, the local Village women and men dress up to entertain touristspeople have successfully diversified into tourism - the valley is the closest place to Hanoi where visitors can see 'real' hill tribe people. 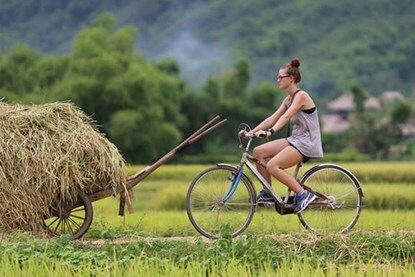 A typical tour spends a night in Mai Chau with music from traditional gongs accompanied by Thai dances, eating steamed 'sticky' rice and drinking local rice 'wine' through bamboo 'straws' from a communal jar. 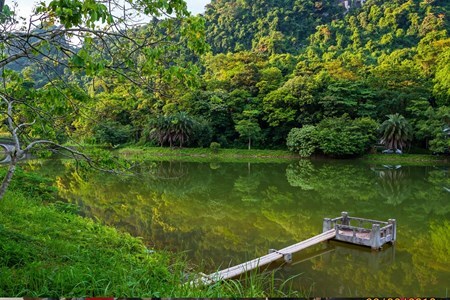 For a longer stay, there's hiking through the rice paddies and nearby villages and a visit to the Song Da reservoir by jeep via The all-purpose room in a Thai stilt house homestaya poorly-maintained road descending to the lake with small Thai villages en-route. The locals are not used to seeing foreigners! Accommodation will be in a stilt house homestay. Typically, the building will have a central kitchen and a large room that doubles as meeting place and dining room during the day, and a dormitory at night. Compared to 'authentic' villages and homestays, Mai Chau offers luxury accommodationSleeping arrangements are communal with a thin mattress, a pillow and a mosquito net. Outside there's a shared toilet with a shower if you're lucky and a bucket if you're not. 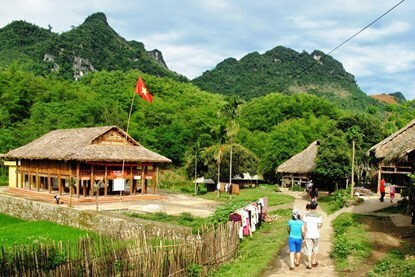 However, despite the 'traditional' hype, Mai Chau is now a long way from authentic. Television and other modern conveniences are common, and traditional costumes and performances are brought out for the tourists' benefit. In fairness, it's well organised and a good example of local community development, but travellers seeking verisimilitude might be disappointed. 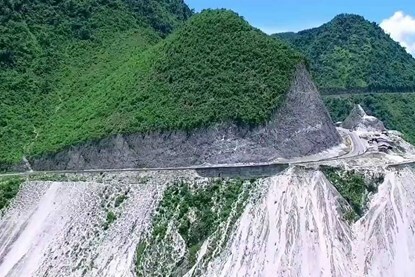 Fortunately, customers that want the real thing can pass through the valley to Pu Luong across the river from Mai Chau. It's a large valley well off the beaten track with several small ethnic minority villages and excellent hiking opportunities. Compared to the luxury of Mai Chau's toilet and other benefits, homestays are very basic - however, you'll be experiencing the genuine hill tribe lifestyle!